Op vrijdag 12 december hebben we op het Varendonck-College in Asten ‘the hour of code’ georganiseerd. Ongeveer 50 leerlingen hadden zich hiervoor opgegeven. The ‘hour of code’ is een wereldwijd initiatief om leerlingen te betrekken bij de wereld achter de computer, het programmeren. In het kader van de wereldwijde week van de informatica konden in meer dan 180 landen tientallen miljoenen leerlingen tegelijk online deelnemen aan ‘the hour of code’. Samen met Gerard Verbrugge van Microsoft gaven we de Varendonck leerlingen een één uur durende introductie in de informatica, om hen de basispricipes van programmeren te leren. De enthousiaste deelnemers behaalden allemaal een certificaat. The last couple of months I have been speaking at a couple of events. For those who visited these events or for those who want to know more about the subject I will give a brief summary of the talks and post the slides / sample code here for you. Vandaag ben ik voor de 2de keer uitgeroepen tot Microsoft Most Valuable Professional (MVP) op het gebied van Windows Platform Development. De titel Microsoft MVP wordt uitsluitend toegekend aan geselecteerde specialisten die zich actief inzetten voor een community rondom een Microsoft product. Microsoft beloont deze personen voor hun inzet en hulp aan de gemeenschap door middel van de titel MVP. XAML is a declarative UI language; it's most powerful feature is surely data binding. 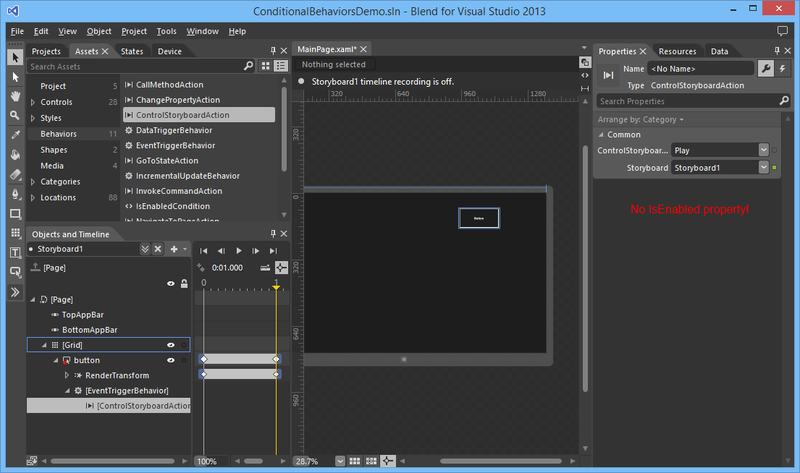 In XAML you can set a converter on any binding. You use this when you need to display data in a format that differs from how it is stored. But you can only set ONE converter. So if you for instance want to convert a date using a FormatConverter and you want to convert the result to uppercase using a UppercaseConverter you are stuck. To solve this problem I have created a ValueConverterGroup class. It is a converter which contains multiple converters, it is a List of IValueConverter objects and it implements the IValueConverter interface. The Convert() method calls the Convert() method of all containing value converters. I haven't implement the ConvertBack() method because I won't be using it. 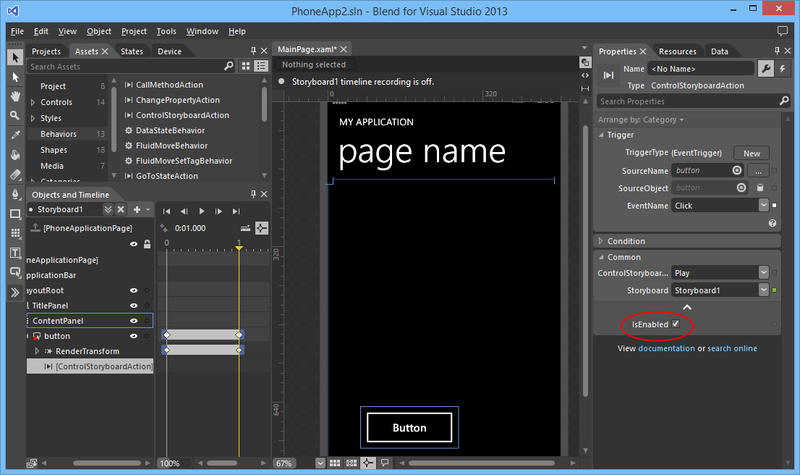 In XAML applications you can use a Popup control to displays content on top of existing content. To show a Popup you must set the IsOpen property to true. You can subscribe yourself to the Closed eventhandler which is fired when the IsOpen property is (re)set to false. You can use this event to execute extra logic when the Popup is closed. To make this easier I have created an ShowAsync() extension method which does this for you. I got my inspiration for this solution from this Awaiting Storyboard completion blog post by Nigel Sampson. He uses this technique to begin a storyboard using a BeginAsync() extension method. // You don't know when the popup was closed! The ShowAsync() extension method uses an TaskCompletionSource. It allows us to create tasks behind the scenes and control whether they are completed, cancelled or failed. With this task you can build up some really handy mechanisms to improve the readability of your code. A few weeks ago I have written a blog post about how you can write your own Behaviors and Actions for Windows 8.1. I noticed that the Windows 8.1 Actions are not compatible with the Silverlight and Windows Phone Actions. Those actions have a IsEnabled property. The Windows 8.1 Actions don't have an IsEnabled property. Luckily I got a tip from the Microsoft XAML Tools team. A new feature that is added to the Behaviors SDK is that Actions can return results as well as have its own ActionLists. This helps in relaying execution results or building conditional behaviors.